Infinity Health Care and Diagnostics is a Diagnostic Center Clinic in Rajarajeshwarinagar, Bangalore. The clinic is visited by consultant physician like Dr. R.P. Vishwanath,Dr. Prasad B N K and Dr. Giriyanna Gowda. The timings of Infinity Health Care and Diagnostics are: Mon-Sat: 07:00-21:00 and Sun: 07:00-13:00. Some of the services provided by the Clinic are: Liver Cancer,Hemoglobin Test,Consultation,Lipid Profile and Serum Creatinine Test etc. 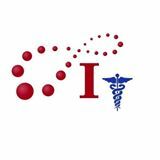 Click on map to find directions to reach Infinity Health Care and Diagnostics. Doctor Parth is excellent. Very soft spoken, listens carefully and provide appropriate advice and medications. Consulted online through Practo. Yet to start my medication. The doctor was ************ *** friendly. Good experience..